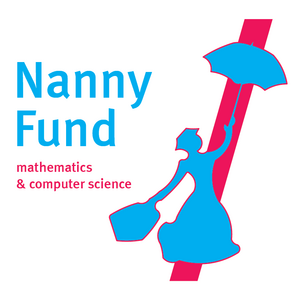 Implementation arrangement of the “Nanny Fund”, Aspasia program NWO, associated with the VICI Grant of prof. B. Speckmann. Applicable to the department of Mathematics & Computer Science as of January 1, 2016 until December 1 2020, while funds last. Helping (young) scientists to stay on track with their (international) career after becoming a parent. The fund is available to all scientists (starting at PhD level) who have an appointment/contract within the department of Mathematics & Computer Science and have at least one child. Applications may be submitted by female and male scientists (starting at PhD level) to organize adequate care facilities for their child(ren) while attending an important conference in their field of re-search. Possibilities are to finance the travel and accommodation of a family member, friend, or child care professional (a Nanny) to the conference location to take care of the child(ren) or to finance additional help at home if the children do not travel to the conference location. No fixed sum is defined per person, funding is flexible based on actual expenses. After approval of the application the applicant will receive a reimbursement for travel (to the conference or home location) and accommodation (hotel, apartment, etc.) expenses for the “nanny” and for the child(ren). The Nanny Fund does not cover meals. Reimbursement is based on actual expenses for travel and accommodation, all other costs must be covered by the applicant. After the trip the invoices for travel and accommodation costs of the nanny and the child(ren), together with the signed application form, should be handed over to HR Services who will take care of the reimbursement. According to the Dutch Tax Administration the reimbursement of the Nanny Fund is part of the salary. Because wage tax has to be paid over salary and M&CS does not want the taxes of the reimbursement of the Nanny Fund to be paid by the applicant, the reimbursement will be grossed. This may effect taxable wages, which, depending on the personals (family) situation, may influence income dependent schemes (such as income tax, childcare benefit, health care benefit, rent benefit). If a scientist is eligible for this fund a budget (see application form) has to be made together with an appointment with one of the HR- advisors. The applicant is responsible for filling in the application form and making the appointment. Together with the financial department the HR advisor will determine whether the request is appropriate and can be granted. After the appointment has taken place the applicant will receive an approval or rejection within a week. Travel Permit for Travel Abroad, Nanny Fund activity number: 1003025. Please fill this in and make an appointment with with one of the HR- advisors.